What a wonderful world we would create if all of us followed Malala’s lead, and lived with her courage. We are not all called to stand against the Taliban, but each of us are given countless opportunities to speak up and speak out for those without a voice. Who in your community has a voice that cannot be heard? 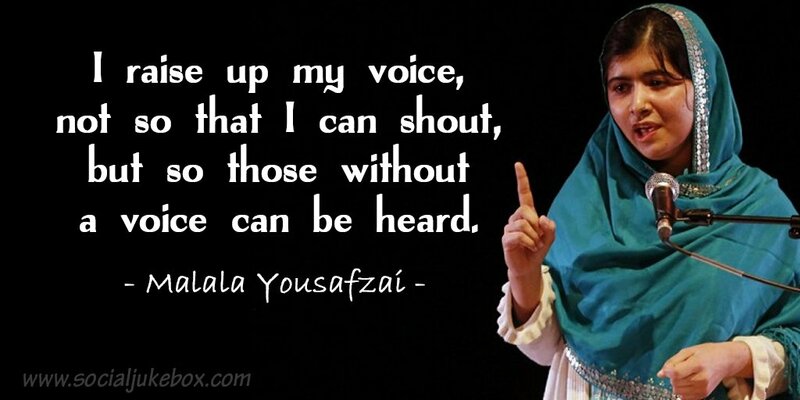 This entry was posted in Hunger & Poverty, News & Views, Quotes and tagged community, courage, justice, Malala Yousafzai, opportunities, oppressed, repressed, speaking out, taking a stand, Taliban, voice, voiceless on October 1, 2016 by Ray Buchanan.